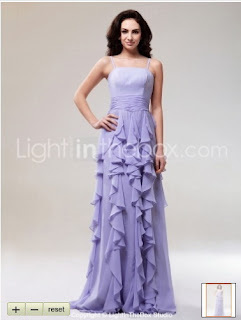 Sweet lavender gown would be perfect to wear at prom or evening party. One of the safest colors to most of skin tones is lavender. Whether you are Asian, European, or African woman, a lavender gown is the best thing you can get for the special occasion. Moreover, lavender symbolizes feminine, elegance, and grace. 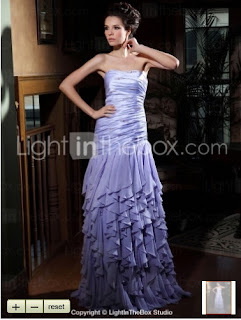 Here are some magnificent lavender gowns from lightinthebox, you can get inspiration from them or just buy it online. The price of one shoulder lavender gown is US$129.99. It has a Watteau train, zipper at the back, built in bra and ruffles embellishment. The color of the gown is lavender with gold trim color. The gown material is chiffon. The price of spaghetti straps lavender gown is US$149.99, it has zipper at the back, built in bra, fully lined, and ruched; cascading ruffle embellishment. The dress material are chiffon and elastic woven satin. The copy of Fergie Lavender gown is cost US$ 169.19; the waist is empire; it has brush train, zipper atbthe back, built in bra, the embellishment are beading and draped. The fabric are chiffon and elastic woven satin. 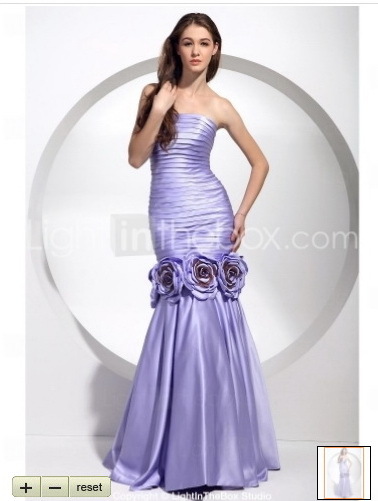 The price of mermaid lavender gown is US$199.99; it has zipper at back, built in bra, flower(s); ruched embellishment. The dress is made from satin. The price of strapless lavender gown is US$ 249.99, it has built in bra, and beading; ruched; cascading ruffle embellishment. The dress is made from chiffon and satin material.